We are very excited to be supporting Brazillian ska/punk band Abraskadabra! 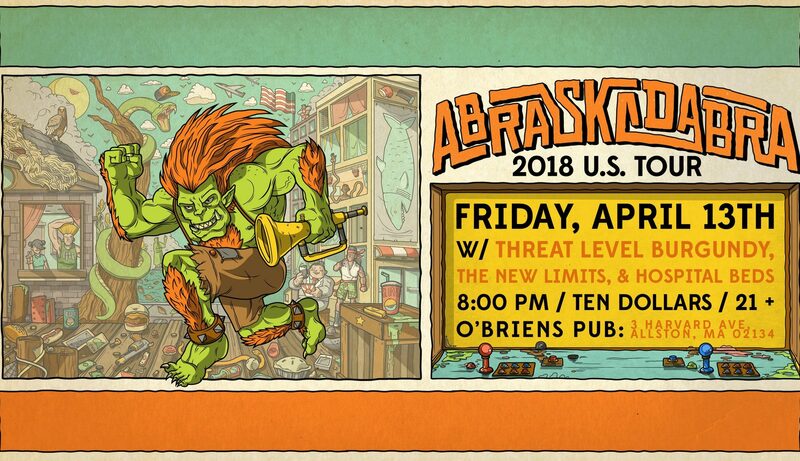 They kick off their U.S. Tour here in Boston at O’Brien’s Pub in Allston on April 13. We’ll be joined by Threat Level Burgundy and Hospital Beds to giving them a warm welcome. Grab your tickets and join the Facebook event. They’ll be touring in support of their new record “Welcome” released this past February. It’s available on Spotify and Bandcamp.